There are days when winter is wonderful. White. Pristine. Silent and still, letting one's soul rest. Winter, however, can be a challenge. January and February can drag on, offering little but an endless litany of dreary weather. The days are short, the sunlight weak (unless one is on the road driving when it is suddenly blindingly bright) and snow, fog, or ice seem to cloud our minds as well as our walkways. Perhaps writers and poets are more sensitive to the vagaries of the seasons than most, but I love the way they capture them. The following poems and snippets, taken from the pages of history, show winter in its breadth of both woe and wonder. And pass the heartless day. Because they are Thy will! And many of us do just that: Resign ourselves to enduring winter blasts. However, in contrast to heartless winds and icy walks, the following vignettes show winter at its best. A blood-red orange, sets again. By the cold candle, bathe and dress. The colder countries round the door. Its frosty pepper up my nose. Are frosted like a wedding-cake. What I love most about winter in many older poems are the references to home and hearth fires. 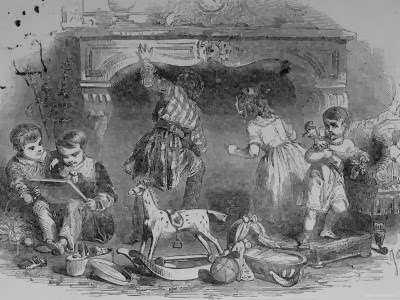 In my regency Christmas book, I dedicated a whole section to poetry and found more snippets of happy scenes of families gathered 'round the hearth than I could possibly put into one book. In the parting prayer and the kind "Good-night;"
Over thy life has the spell been thrown. A guardian power and a guiding light. The merry Homes of England! Meet in the ruddy light! May you enjoy your own hearth-fires, or other cozy spot to read, relax and renew your soul during the slower months of winter. 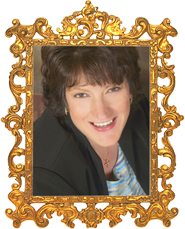 Linore Rose Burkard is the creator of "Inspirational Romance for the Jane Austen Soul." Her characters take you back to Regency England (circa 1811 - 1820). Fans of classic romance, such as Pride & Prejudice or Emma, will adore the adventurous heroines and heroes in Linore's historical novels. I love poems and quotes. Thank you for sharing these beautiful words. I can't imagine so much snow. The most I've ever seen at one time is about 18 inches--and that's only been twice in my lifetime. Beautiful pictures! You should see my backyard right now! We woke up "to a world of white," (as the Amy Grant song goes). It's beautiful and peaceful--unless you have to venture out. I am thankful for "stay at home" snowy days!